Over a 22 year career long running Jerusalem/Netherlands based black metal quartet Melechesh after five year since the recording of their last sonic assailment revealed their sixth full length album entitled “Enki” on 27th February,2015. Ancient Egyptian,Sumerian mythology,history was always enigmatic,mysterious and ambiguous from centuries and obviously difficult to trace . Pertaining their geographical position where ancient Egypt prevailed for centuries spreading knowledge and reaching higher levels of progression.Melechesh means “King Of Fire” in Hebrew language.Their latest effort “Enki” title basically collected from Sumerian mythology.Enki means “Lord Of the Earth”. In Sumerian/Babylon mythology Enki is deity of mischief,water,craft,intelligence and creation. I believe that the fascination over ancient Egypt,Sumerian mythology will never end and for a good reason.Always Egyptian ,Mesopotamian mythology concept based article ,image , band whatever easily attracted me because of their epic history,magnificent theme,culture . This is an album I’ve been looking for a long time.This is one of my anticipated release of this year. This new album consist with nine tracks . Melechesh was formed in 1993.Basically their front-man Ashmedi resides from Jerusalem but due to religious conflicts he was forced to relocate to Amsterdam,Netherlands. Nowadays most of the bands experiment on their soundscapes to create a music that can be different from others and bring to them a unique identity. Black Metal colliding with Middle Eastern,Mesopotamian or otherwise unconventional influences enjoys indeed tend quite rare but Melechesh able to gain proper attention in this complex,unrelenting, disparate musical style.Melechesh became a well established group of bands who can make a fully sound and creative and with a lot of excellence in his lyrics,with well crafted,distinct content . Already Nile,Coffin Texts, Maat is successful and well renowned band with Egyptian mythology and Crescent became one of my favorite Egyptian mythological band from past year. Melechesh deliver a very unique kind of black metal combining melodic ,thrash and Sumerian folk elements with their mystique and epic black metal. 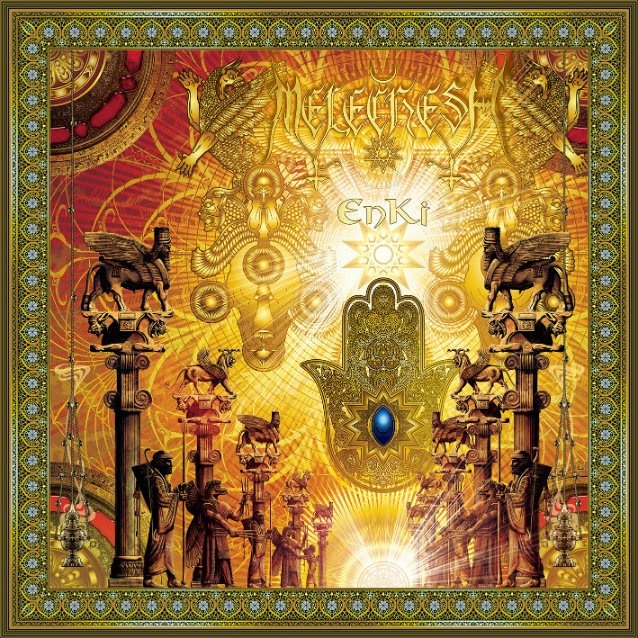 At a first listen of “Enki” I was astounded and grab my attention.After a few more listen this new album totally enthralled me with their extreme,chromatic,multi-layered,occult black metal musical style with technical riffs work ,thrash metal segments and melodic,folk vibe with Middle Eastern musical influence and obviously their distinguishing musical composition ,grandiose concept just blew me away .Ashmedi and his cohorts exudes tremendous effort in radiant way on this album with excellent diligence and nailed it .I really appreciate Ashemdi’s unsurpassed ability and skill. This new album is triumphant rich black metal. This whole album reflects the grand diversity of sound brought together on this album . Their incredibly sensitive,slightly sandy,dusty antique and disparate musical styles all combined in one bold, enlightened display of unbound creativity Despite the often fast ,furious,cacophonous, heavy and extreme form of black metal assaults with a lots of segments of thrash,melodic and tasteful folk involvement enhanced with technical riffs work ,Middle Eastern musical aspects enriched this album that is very powerful,heavy and excellent all at the same time along with a good balance of technical death metal music,Middle Eastern music,melody and brutality with strangulated ,intricate riffs work and those effective rasps,harsh vocals simultaneously . Their music is both dark and ecstatic. I highly appreciate and applaud this album because of their distinct style . This albums opening track “Tempest Temper Enlil Enraged”starts with desert,sandy,dusty Middle eastern scenario followed by intricate,fast,delicate riffs work,blast beating,fast soundscapes with onslaught of savage guitar and a wall of spectacular,relentless drums . Their whole composition and musical style is impeccable. From this new album we get fast, oppressive,occult black metal finest variety with just make enough melody . This album is filled with a slew of twisted , traversed ,chugging, groovy,intricate,apocalyptic,crushing riffs line ups with technical prowess . As well bass line up is shifting, chaotic, deeper,roving and bludgeoning. Drumming,percussion line up is thundering,dodgy,punishing,frantic,blast beating and rabidly insane . There are a slew of individual riffs,solo sections which sound briefly something exotic . In each track intricate,spectacular riffs,bass lineups matched in fantastic way with technical orientation . This album indulge strong songwriting,grandiose concept and brilliant musicianship . Tempo changes are excellent and complicated . Vocals harsh,snarling growls,deep rasps, aggressive, vigorous, crucial voice woven in a good manner with their utterly savage,merciless,onslaught, primal organic ,violent,uncanny black metal sound with a lots of technical prowess, melodic,thrashy segments,Middle Eastern musical accompaniment and embedded perfectly . I really worship this band . Each song have an energy ,fluency and dominating power . Stand out tracks are all of em . On “Enki - Divine Nature Awoken”track sitar work is phenomenal .” Doorways to Irkala” instrumental track is remarkable. This track borrow antique,dusty vibe and at the same time you feel that you are travelling across a dry,abandon desert. 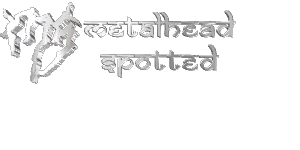 On this album guests are Max Cavalera on vocals on “Lost Tribes”, Sakis Tolis on vocals on “Enki Divine Nature Awoken”, and Rob Caggiano on guitar solo on “The Palm the Eye and Lapis Lazuli”. Album artwork is atrocious,indelible . their album artwork reminds me about Egyptian,Sumerian territory, ancient history .Album artwork Portrayed the flavor of Sumerian mythology . Overall "Enki " whole album Sound extremely promising,prestigious, blistering ,engrossing ,significant and well proficient . Indeed this album is such an true gem of this year and this album will give you unyielding awesomeness from beginning to the end . Their potential on this new album is appreciable . "Enki" so presented as unshakable strong slabs of Egyptian mythology based black metal .This is aesthetics of black metal . This album have a fantastic sense of exoticism without any sacrifice in intensity. outstanding another one release of this year so far . This is strongly recommend to add it in your collection.Melechesh able to cultivate Middle eastern music with black metal properly and garnished,presented this whole album as a masterpiece.